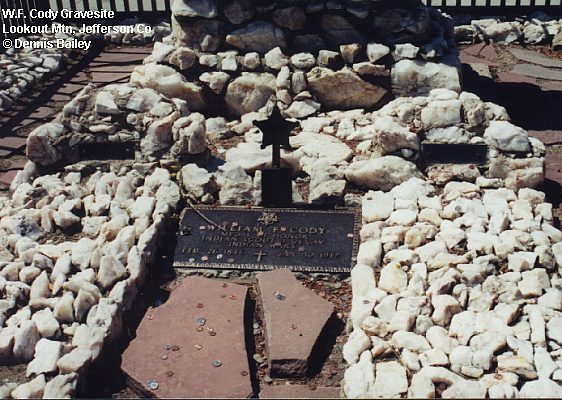 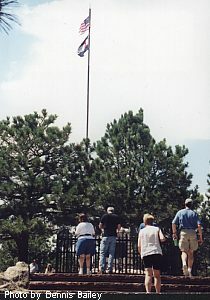 The William F. Cody grave site is on top of Lookout Mountain, west of Denver. 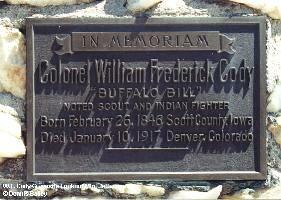 Several memorial markers mark the graves including the Colonel William F Cody marker that introduced this page, a standard VA military marker recognizing W.F. 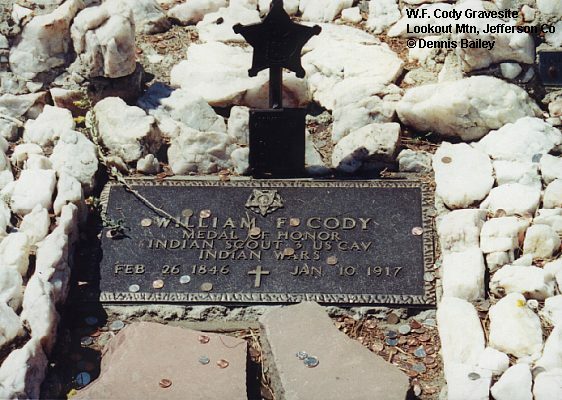 Cody's Medal of Honor earned while serving as a civilian scout with the 3rd US Cav. 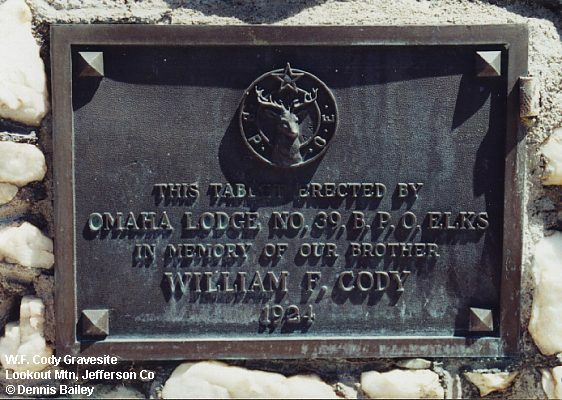 and a tablet erected by the BPOE. 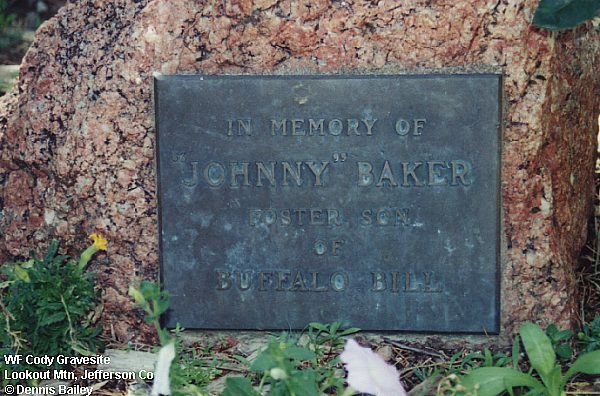 There is also a memorial marker for Johnny Baker "Foster son of Buffalo Bill." 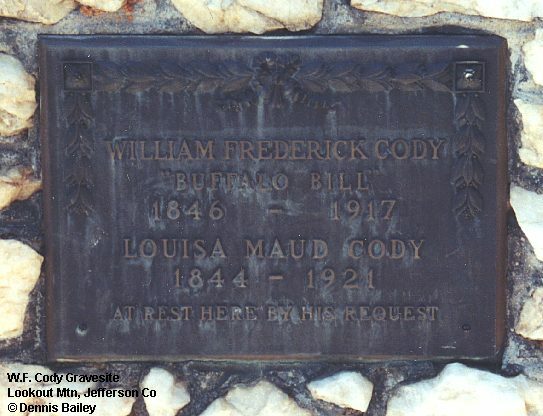 William F. Cody was a Pony Express rider, meat hunter for the Kansas Pacific Railroad crews (where he acquired the nickname Buffalo Bill), US Army Scout, Dime Novel hero and showman operating "Buffalo Bill's Wild West Show" before he retired in Denver.